From artisanal cocktail lounges to blue-collar beer joints, Santa Monica offers a watering hole for everyone. And happy hour provides an ideal time to explore the city’s diverse nightlife scene. Raise a glass to some of Santa Monica’s best in happy hour deals. Enjoy happy hour in style at Viceroy Santa Monica‘s “Vice Hour” (happy hour 5-7 p.m. EVERYDAY), during which everything is 50% off. 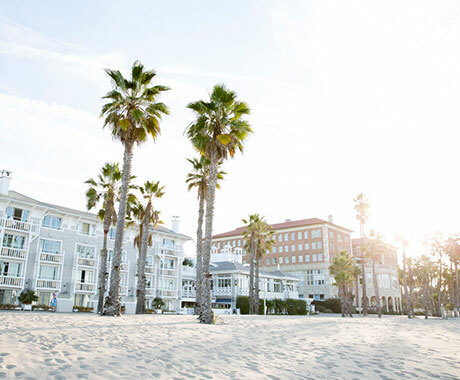 Order cocktails with a side of hors d’oeuvres in one of Santa Monica’s most adored hotels without breaking your budget. Rusty’s Surf Ranch (happy hour 4–7 p.m. Mon–Fri) has anchored the Pier with laid-back vibes and great deals on cold drinks and spicy appetizers since the mid-90’s. Order Bud drafts for just $3 and signature blue iguana margaritas for $4. Vino headlines at Bodega Wine Bar (happy hour 5–7 p.m. Mon–Fri, 10 p.m.–close Sun–Thu), where wines by the glass and soju drinks are $6. Local pints ring up for $4, along with deep discounts on wood-fired pizzas and apps like tangy wings. Drop into Wilshire Restaurant (happy hour 5 p.m.–close Mon–Fri, 5–7 p.m. Sat) for succulent bar bites including steak tartare, wild mushroom flat bread, and fried chicken sliders. Local beers like Santa Monica Brew Works Wit go for $4, or you can order martinis and specialty drinks for $8. The Upper West (happy hour 5–7 p.m. Tues–Sun, 5–10 p.m. Mon) boasts 16 choices on a $10-and-under “bar eats” menu. Lamb nachitos and Thai peanut noodles pair nicely with eight signature cocktails, a sparkling wine, and a double IPA, all $6 apiece. 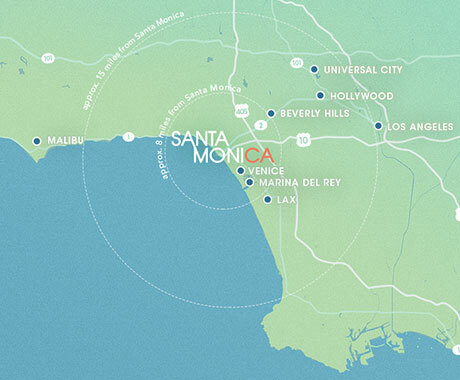 For more specials and discounts, pick up the complete guide to Santa Monica happy hours, offered throughout the city.